Last May, Andrei Zvyagintsev's movie Leviathan won the best script award in Cannes and was nominated for an Oscar. This is a great success and an opportunity for the Russian film director to move to the top echelon of world cinematography. However, Zvyagintsev fell into the same trap as the romantic segment of the Russian "creative class" not so long ago when its representatives took to the street with good intentions but paved the way to power for those who had no such intentions. It would be appropriate to recall at this point Alexander Zinoviev's famous phrase about the fighters against the Soviet regime who "targeted communism but hit Russia." 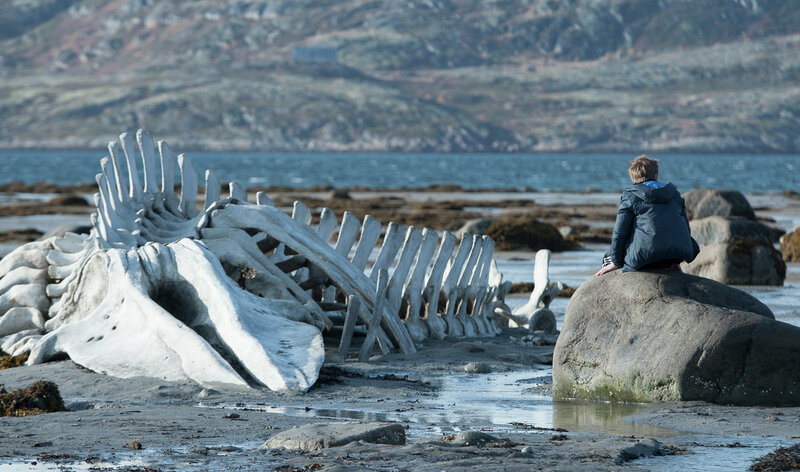 In essence, being targeted against the obvious evil, Zvyagintsev's Leviathan appears to be yet another direct hit at Russia. One film critic writes about the movie: "Leviathan is the Russian power, all of it accursed vertical that pierces with its wooden stake anyone who may stand in its way or even spoil its mood. Cops at every step, the city mayor, the leader with his beaming smile in a frame on the wall, and on top of it all the strict hierarch of the Russian Orthodox Church who is putting his flock of officials on the right track and tirelessly reminding them that any power comes from the Lord. Nobody has ever dared accuse the church of all iniquities in the country with such ferocity or almost nobody except for a few girls in balaclavas who were sent to prison for two years for this." Wow! Even the Russian Orthodox Church has been accused "of all iniquities." To sum up, no matter what monster Zvyagintsev was fighting in his mind, Western prize distributors are already interpreting Leviathan as the Russian Empire and personally Vladimir Putin. I believe the audience applauded the Russian film director sooner for the pathos of his movie than its artistic achievements when he predictably received another award in London the other day. No matter what he or his producers may say in interviews (for instance, that they thought the least about any awards when making the movie), in reality they played with their simplistic drama into the hands of the real Leviathan. The world's oligarchy — this is the REAL LEVIATHAN that is squeezing humanity in an increasingly tougher embrace of global financial and information networks and is compelling politicians, journalists and simply people to lie and grovel before the power of money and weapons on pain of physical or mental death. Who is opposing this monster? Who dares raise his voice against it? Not Zvyagintsev, that's for sure. The real Leviathan is opposed by people like Zinoviev who are thinking about Golgotha rather than awards… A participant in the recent meeting of the Zinoviev Club said that only national states may be an alternative to "the totalitarianism of money." I could probably agree with this idea if it did not lead to many questions. Are there many sovereign states in the world? Are they powerful enough (not counting China) to oppose globalization, US style? Obviously, for all its vices and weak spots, Russia is one of the few half-stifled countries that dared to say "no" when it was told to shut up. But our president did it not because Russia is a national state but because it is more than just a state. Today the Russian elites are looking for a suitable NAME for the Greater Russia whereas the West has long found its moniker — the Evil Empire. One of the goals pursued by the US State Department in staging a coup d'etat in Ukraine is to compel Russia to respond to Ukrainian Nazism with Russian fascism and to oppose Ukraine's unitary structure with its imperial ambitions. It is supporting right-wing radicals both in Ukraine and Russia as well as in Islamic countries where it is using al-Qaeda and ISIS as jump scares to push sovereign nations under the wing of the "civilized" world. In the meantime, Russia is responding to unitary and Nazi ideas with federalism and internationalism. This is irritating for globalists who are compelled to distribute awards to "girls in balaclavas," "independent" journalists, and fashionable film directors who use the word Leviathan to describe the long-standing greed of parochial officials (typical not only for Russia) rather than global oligarchic racism. How should Russia break away from these traps? To begin with, it should use correct names. We must adequately identify the area of the Russian world in which it should develop. Regrettably, the new war with the West has made a mess in the minds of the Russian upper crust, as a result of which they have come up with a host of ideas about the need to revive in Russia a monarchy, the Orthodox Tsardom (or even the Horde) and, of course, the empire. Meanwhile, Russian citizens have long expressed their unequivocal view: as distinct from Ukraine, Russia is not going to become a unitary state that is striving to assert one language, one ethnic origin and one faith on its territory. Our country is a multi-ethnic, multi-religious FEDERATION and cannot be an empire for this reason because the latter is a completely different type of state arrangement. An empire is a type of state with an absolute administrative and political vertical of power. It is always a paradise for bureaucrats and a prison for its inhabitants, including (and sometimes primarily) its titular nation. Advocates of an empire call the rule of bureaucrats a "strong state" on the premise that the Russian people cannot exist without strong government power. Meanwhile, the talk about a strong empire is a false and dangerous discourse that is pushing Russia to ethnic and social self-destruction. Why are some politicians imposing great-power format on Russia although it is a crazy idea by definition? Is it because they are suicidal or maybe because it is much easier to destroy an empire than a federation? Today, Russia has arguments against its Western foes that are trying to "federalize" our country in response to our support for Crimea and "separatists" in Ukraine's southeast. Russia is already a federation. Its recognition as an empire will give the West additional grounds for finishing off the Russian world — to free the nations that are languishing in the clutches of the empire. These are grounds to call Russian the language of the occupants and compel the world to hate and persistently destroy the "wild Orcs from the East" sooner than be scared by them. So, to enable Russia break away from the real Leviathan, we must cultivate our unique culture rather than our imperial identity. In other words, we must lay emphasis on our spirit and values rather than the administrative power that always works against Russia. The correct NAME of Greater Russia is a civilization where the Russian Federation is merely a form of political arrangement. The main values of this civilization — creativity and solidarity stemming from the peasant history of the Russian people; internationalism predetermined by Russia's multi-ethnic population; consciousness and holiness stipulated by the Russian Orthodox ethics and many other things that cannot be mentioned here for lack of space. Today, Russian proponents of a strong state are fuelling imperial attitudes to allow Zvyagintsev and the like to receive awards abroad for their attacks on Russia's mini-Leviathan. For such film producers a strong state is the absolute evil, whereas for people like Prokhanov and Zhirinovsky it is the only form of existence for the Russian people. None of them is right because the main problem is not what role the state should play in the lives of people but WHAT it should be like. Today, people in Russia already understand that the state cannot be liberal in this country but they do not realize that it should not be imperial, either. The main problem is that they do not understand that a modern state will not be strong unless it becomes smart and fair. In principle, today the power of any state lies not only in the possession of nuclear weapons or the volume of GDP, but also in the intellect and Spirit of its people. Stalin understood this in his time and allowed the technocratic intellect of the Soviet people and the national Spirit to develop. As a result, the USSR withstood the crusade on the East organized by the global oligarchy. Today's Russia that has found itself in hostile environment once again will only hold out if it allows advanced ideas and the Russian Spirit to reveal themselves in Moscow, Kostroma, Crimea, Novorossiya and other places of their concentration. Russia has this Spirit for the time being and this is borne out by the generosity of the Russian people. Russia is permanently generous, especially as regards Ukraine — it not only accepts hundreds of thousands of refugees of any ethnic origin, but even provides free treatment for Ukrainian punishers in its hospitals. Obviously, Ukraine will not become strong in the next few decades. The Kiev regime is becoming increasingly more cruel and merciless. It is doing all it can to mobilize and militarize the country but cannot make it strong because the assertion of this "European power" is based on blood, hatred, lies and unitary ideas. But let's return to Leviathan. The global super power is not interested in developing Spirit anywhere. The attainment of Spirit has long been replaced with a feeling of material abundance. It is the physical satisfaction that is the yardstick of Western civilization. Under the circumstances Russia is obliged to oppose the global empire of money and chewing gum not with a smaller copy of Leviathan but with its unique civilization. The understanding of the latter's essence will inevitably give birth to a new and fairly realistic value-oriented ideology for the development of the Russian world and Eurasia.